Black Rock, VIC, AU: Australian based Rock Singer-songwriter, Rhett May, is blending classic sensibilities with a twist of Indian culture to create an extraordinary new album entitled “Fast Cars & Sitars” which will drop worldwide on October 30. The first single ‘The Violence of Ice’, slated for release on October 2, will show his unique combination of these two sounds and their cultures. Rhett May uses his influential platform as a musician to spread a much needed message over beautifully placed guitar riffs, amazing vocals and stellar songwriting in the new single. Largely influenced by the classic songwriting of John Lennon, the Beatles and the Rolling Stones, Rhett May is a rock singer who has molded his own unique sound over several decades in the industry. His self-produced rock music is simple and raw with plenty to say about May’s take on the modern world. It is this all inclusive method that spawned the motivational and much needed new music video. With a musical career that spans back to the seventies when his band Lucifer supported legendary rock band Queen, Rhett May is a voice of experience in a rock world which has become increasingly shallow. He has toured the world, seen the music industry from the inside and watched the dark side of the business consume those around him. Throughout those experiences Rhett May continually turned away the excesses of the industry, choosing instead to write his own story as opposed to those who fell into the clutches of addiction. Having spent a large part of his childhood in Calcutta, India, his guitar led songs are infused with the sounds of the Indian streets, giving his music a different flavor from the majority of current cookie cutter rock music. Now living in Australia, May continues to take his music in a new direction by continuously writing, composing and recording his music with a passion for his art that few can match. 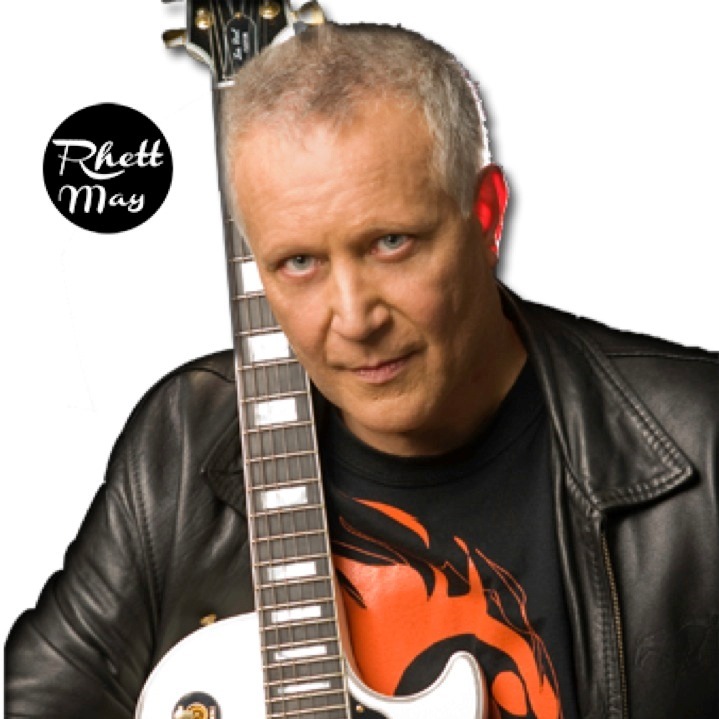 “Fast Cars & Sitars” demonstrates all of Rhett May’s musical talent and rich history in top form.